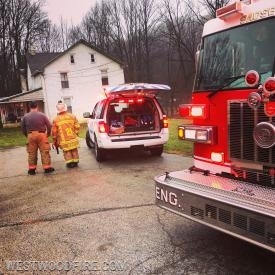 The Westwood Fire Company was dispatched at 1122 hours for an odor investigation inside in the 100 block of Rawson Lane in the Hillview Section of Valley Township. 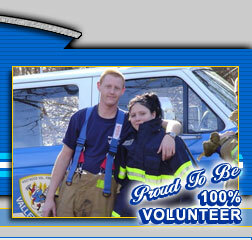 By 1126 hours, Engine 44-5 with a crew of 4 and Ambulance 44-1 were on the street responding. Smoke showing from the structure upon arrival of firefighters. 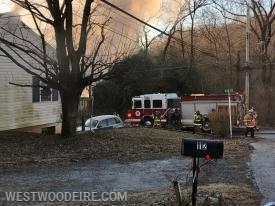 On Sunday February 10th, 2019 at 0710 hours the Westwood Fire Company and mutual aid were alerted for the structure fire in the 100 block of Moody Street in Valley Township. The caller reported a fire in the basement and disconnected from the phone. Rescue 44 on scene of an investigation on Country Club Road. 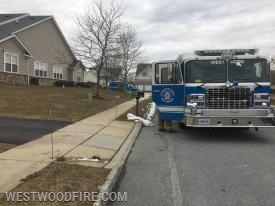 On January 28th, 2019 at 1726 hours the Westwood Fire Company was dispatched to the 200 block of Country Club Road in Valley Township for a gas leak outside. Rescue 44 with 5, Traffic 44 and Deputy 44 all made the response within minutes of being dispatched. 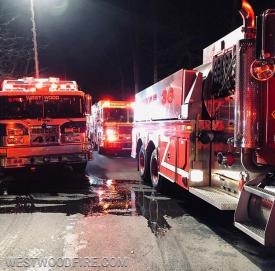 Multiple fire companies were dispatched Friday night for a structure fire in the 500 block of Dogwood Lane in Caln Township. The small street runs off of Acorn Lane from Black Horse Hill Road in the rural section of Caln Township adjacent to the VA property. This area does not have any fire hydrants. Rescue 44 lights up the roadway in the area of the tanker shuttle. Engine 44-5 dumps water from the officer side dump valve. 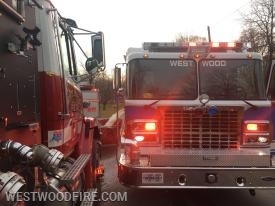 The Westwood Fire Company for the tank truck was alerted as part of the 1st alarm tanker task force for a building fire in the 600 block of Quarry Road in West Sadsbury Township. The call came in Monday around 0708 hours. Additional tankers from Kinzers, White Horse, Honey Brook and Cochranville Fire Companies were also on the task force. 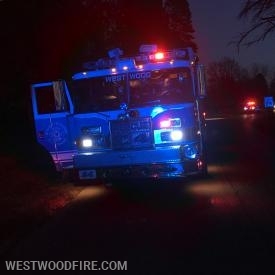 The Westwood Fire Company was dispatched at 0249 for an auto accident in the Newlinville section of East Fallowfield Township. The assignment was then updated at 0252 to a subject bleeding from their face with possible entrapment, reported by Coatesville PD. 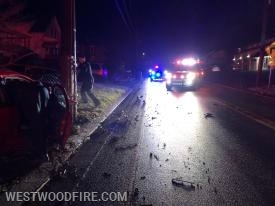 The accident occurred in the 300 block of Strode Avenue and involved a utility pole. Deputy 44 on the scene. Firefighters on scene of a reported structure fire in East Fallowfield. An outlet burst into flames Saturday morning which summoned area fire companies to a house in the unit block of Timacula Road in East Fallowfield Township. 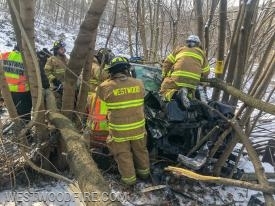 The Westwood, Sadsburyville, Modena and Cochranville Fire Companies were also dispatched for the call.